The alite product range is used on site at the World Luxury Spa Award Winning Day Spa as part of the New Zealand Cultural Spa Regime which specializes in Rotorua geothermal mud spa therapies. The unique geothermal muds and waters of Rotorua are renown for their their curative and invigorating properties and this is particularly so at "Hells Gate" - Rotorua's most active geothermal reserve. For more than seven hundred years "Hells Gate" has been a special place of wellness with the unique qualities of the muds and waters being sought after and many documented and medically certified cures being effected. detoxifies and purifies the skin while drying with highly active clay surfaces easily absorbing excess fatty secretions form within the skin's pores Bactericidal properties of the mud through it's sulphur content also kill bacteria and assists in the prevention and elimination of acne. 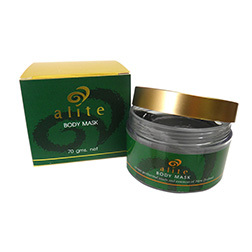 The geothermal muds have been combined with some of New Zealand's word renown essences- in particular Manuka Oil (tea tree oil), Manuka Honey and New Zealand milk to create the high quality spa product range, known as "Alite". This unique range is lightly perfumed with extract of a rose first grown at "Hells Gate" 162 years ago and still is still growing wild there today. 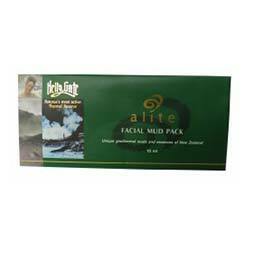 The Alite Mud Spa product range has been developed with the goal of utilizing the unique properties of the "Hells Gate" muds to create a truly invigorating skin care product range. A very special blend of enriched geothermal minerals from the Mud of “Hells Gate” – Rotorua’s most active thermal reserve, clays and Manuka oil from New Zealand that deep cleanses and softens skin leaving it refreshed. 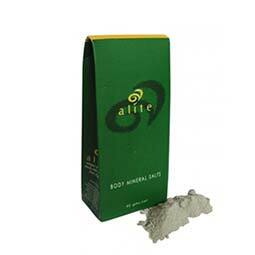 The minerals salt solution improves blood circulation and relieves muscle tension. Ideal to use in a warm foot bath to relieve muscular tension and for invigorating and relaxing the body. Use daily or as often as desired. 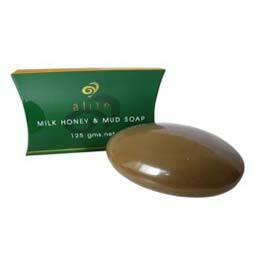 A gentle soap enriched with minerals from geothermal mud,milk and Manuka honey producing a smooth lather leaving the skin clean,smooth and soft.The soap is also enriched with Manuka Oil which assists in decreasing the proliferation of bacteria that causes body odour. It is ideal for the face and body. Regular use deep cleanses and enriches the skin. Ideal for both sensitive and oily skin. A rejuvenating mask incorporating the geothermal enriched mineral mud and essences of New Zealand that deep cleanses and revitalises the skin by its gentle exfoliating action. 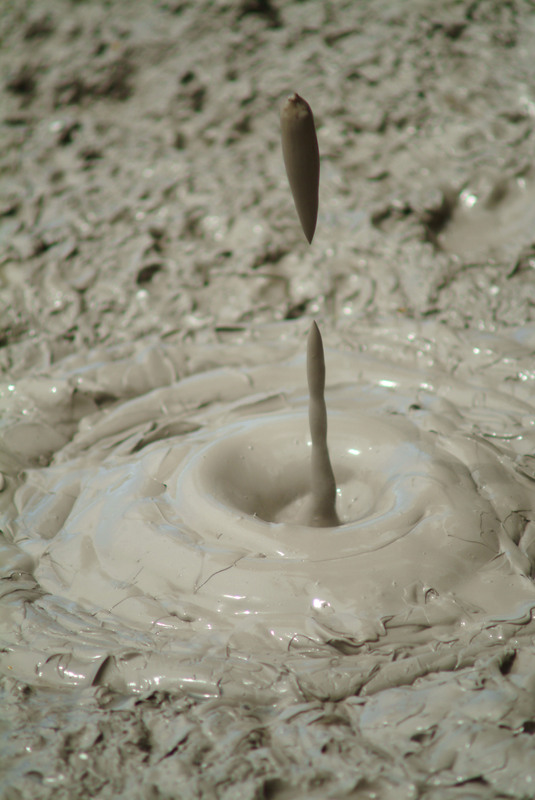 The intensified enriched geothermal mud from Rotorua’s most active thermal reserve “Hells Gate” – provides a deeply relaxing source of highly concentrated minerals as well as extremely fine clays that readily absorb excess oils and fatty secretions from the skin’s pores leaving skin smooth,soft clear and younger looking. The addition of New Zealand’s own Manuka oil assists the mask in the decrease of bacteria on the skin while the world renown Manuka honey refreshes the skin leaving it healthy and vital. A truly invigorating skin care treatment. A very unique massage oil blend containing natural oils and extracts as well as rich in vitamin E providing a wonderful relaxing experience while relieving muscular aches and pain. The massage oils unique blend including New Zealand’s Manuka oil, enhances the skins natural sensuality, invigorates the skin and uplifts ones spirit. A highly naturalistic escape from the normal vigors of modern day life. Leaves the skin feeling supple and satin soft to touch. An invigorating blend of geothermal enriched mineral mud and nature’s essences from New Zealand that cleanses, purifies and refreshes the skin. The minerals from the enriched geothermal mud of Rotorua’s most active thermal reserve – “Hells Gate”, together with walnut and oatmeal reduces excess oils in the skin, exfoliates and dissolves unwanted residues to leave skin fresh, smooth, soft clean and aglow with healthy vitality. This body scrub and polish cream is suitable for all skin types and contains New Zealand’s special Manuka oil and Manuka honey which helps it to decrease the proliferation of bacteria on the skin assisting in the promotion of younger looking skin with a radiant look. A superb highly concentrated rejuvenating moisturiser containing enriched geothermal mineral mud and extracts from nature that rehydrates the skin reducing visible signs of ageing, promotes natural cell renewal, skin elasticity and resilience. The enriched geothermal mud from Rotorua’s most active thermal reserve “Hells Gate” - provides an excellent source of highly concentrated minerals and finest clays to assist in the removal of dry and flaky skin leaving the skin silky smooth and vibrant without any residue. Combined with the special qualities of Manuka oil, New Zealand’s world renown Manuka honey and wheat proteins, this lotion leaves skin feeling smooth, hydrated and refreshed with a delicate scent. This unique mud mask blends geothermal enriched mud from Rotorua’s most active thermal reserve – “Hells Gate”, with other essences of New Zealand that deep cleanses and revitalises the skin through its gentle exfoliating and detoxifying action. The mud mask provides an excellent source of highly concentrated minerals as well as extremely fine clays that readily absorb excess oils and fatty secretions from the skins pores leaving the skin soft, supple and clean. The Manuka oil endows the mask with excellent protective properties against bacteria on the skin while the Manuka honey proteins refreshes the skin leaving it healthy and vital. 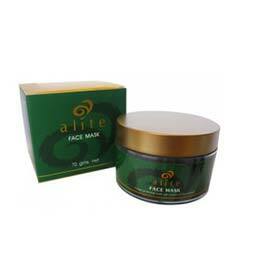 The “Alite” Facial Mud Pack is a convenient single use packs of the “Alite” Face Mask containing 10mls of the mask formulation. It is an ideal travel companion that can easily fit unobtrusively in a hand bag and can be used as required. For the busy person, the packs are excellent in providing an invigorating and refreshing face experience that is uplifting. An intensive moisturising cream that mineralises, clarifies, whitens and assists in the retention of skin elasticity resulting in smoother, soften and refreshed skin. The enriched minerals from the geothermal mud of Rotorua’s most active geothermal reserve - “Hells Gate” together with nature’s licorice extracts and micro-fined Titanium Dioxide promote the whiteness of the skin. The hydrolysed wheat proteins and “New Zealand’s” renown Manuka honey which are natural moisturisers will help the skin with moisture retention. The blend of licorice extracts, micro-fine titanium dioxide and Rotorua’s mineral mud give this cream its unique skin clarity and whitening properties with UV ray protection. The addition of New Zealand’s Manuka Oil to this cream assists in the decrease of bacteria on the skin to keep the complexion healthy and radiant looking. Apply to the face and neck areas. 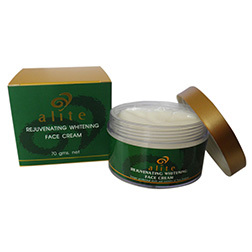 The “Alite” Rejuvenating Whitening Crème should only be used as a base to your make up or your moisturiser. The “Alite” Rejuvenating Whitening Crème can also be applied more often to the areas of the face that require more attention i.e. sunspots, uneven skin tone areas etc. 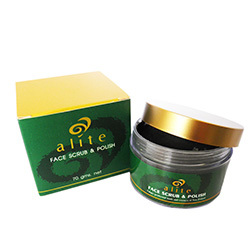 This velvet smooth scrub and polish cream is a gentle blend of minerals form the enriched geothermal mud of Rotorua’s most active geothermal reserve, “Hells Gate” – combined with apricot, oatmeal and seaweed extracts that reduces excess oil in the skin as well as exfoliates and dissolves left over make-up residues leaving the skin fresh, clean and aglow with healthy vitality.